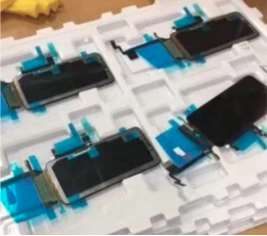 A recent leak picked up by respected UK tech site T3 gave us a glimpse into Apple’s 2018 iPhone production line. It looks like Apple might be coming up with a bigger version of the iPhone X and we expect it to come with a hefty price tag. It looks like Apple is going for a 6.1 inch OLED screen, which could mean Apple moving away from it’s plans of budget smartphones. Right now, this looks as a mistake because users need something affordable and a phone which will cater to their needs.